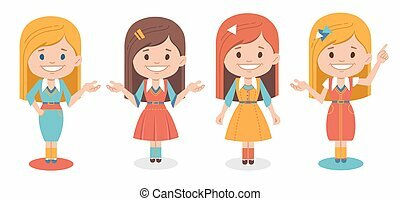 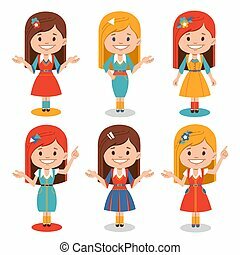 Smiling cute girls in different dress on white background. 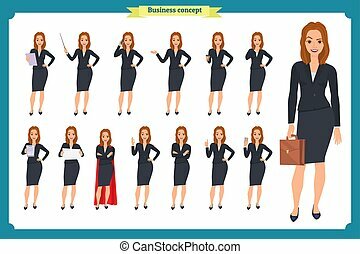 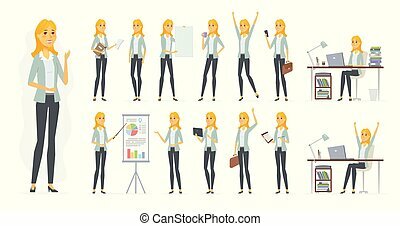 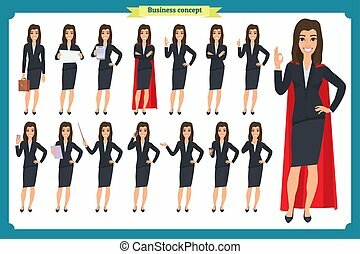 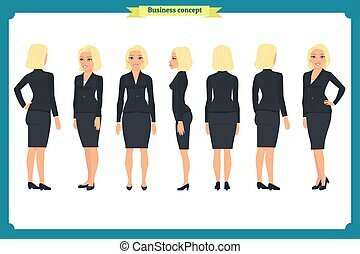 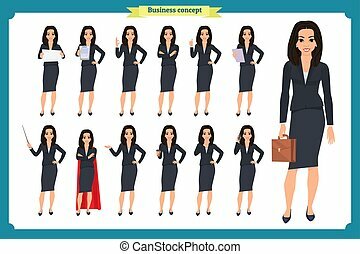 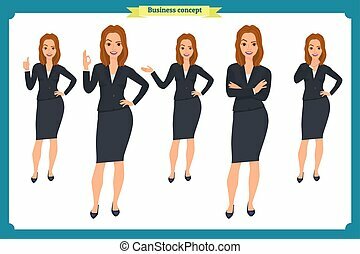 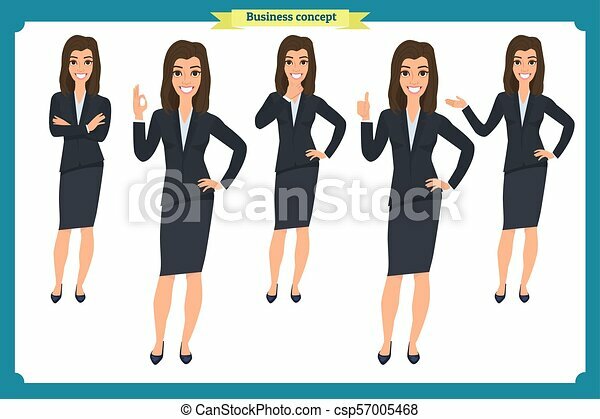 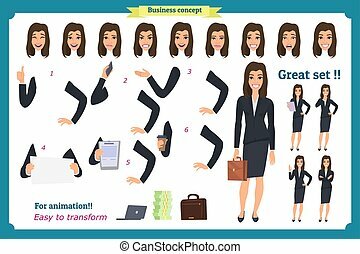 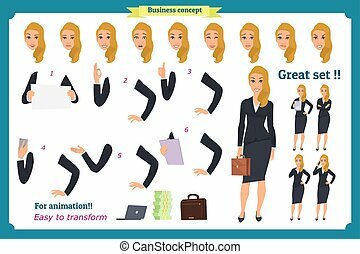 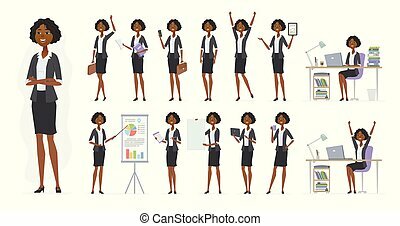 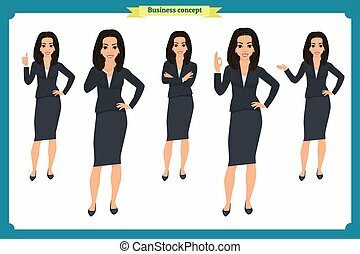 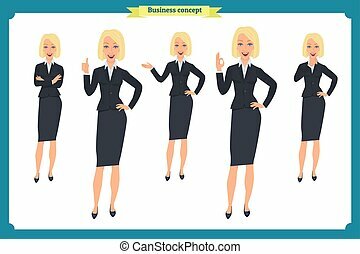 Set of women in different poses. 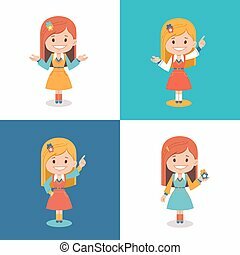 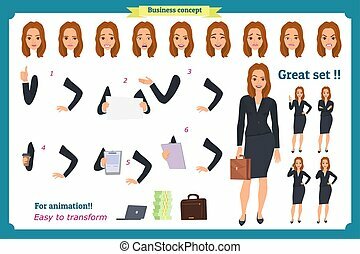 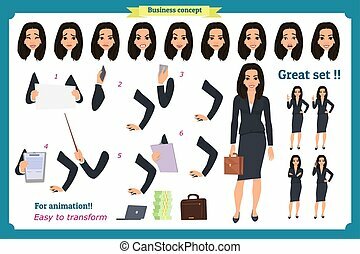 Set of nice cartoon characters for animation, presentation, banners, posters.